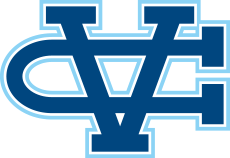 Valley Christian Track & Field: CCS Finals: Trofort Wins 100 & 200 meters; 4x100 meter Relay Runs #3 All-Time Mark! CCS Finals: Trofort Wins 100 & 200 meters; 4x100 meter Relay Runs #3 All-Time Mark! Nick Trofort won the CCS Title from lane 7 with a wind legal mark of 21.94. D'von Lang ran a personal best 22.30, the #10 all-time mark in school history.